I often catch myself screaming at my own shadow. Do you? It’s an existential question, sure, but it’s one rooted in a particular event, one that initially left Alexie furious and that now finds him conciliatory. He may well be groaning to himself, “No good deed goes unpublished,” and whacking his head on his desk repeatedly. His head isn’t the only one that hurts, and he’s partly to blame for the aggravation. Of course, I was angry at the subterfuge and at myself for being fooled by this guy. I silently cursed him and wondered how I would deal with this colonial theft. So I went back and reread the poem to figure out exactly how I had been fooled and to consider my potential actions and reactions. And I realized that I hadn’t been fooled by anything obvious. I’d been drawn to the poem because of its long list title (check my bibliography and you’ll see how much I love long titles) and, yes, because of the poet’s Chinese name. Of course, I am no expert on Chinese names so I’d only assumed the name was Chinese. As part of my mission to pay more attention to underrepresented poets and to writers I’d never read, I gave this particular poem a close reading. And I found it to be a compelling work. In rereading the poem, I still found it to be compelling. And most important, it didn’t contain any overt or covert Chinese influences or identity. I hadn’t been fooled by its “Chinese-ness” because it contained nothing that I recognized as being inherently Chinese or Asian. There could very well be allusions to Chinese culture that I don’t see. But there was nothing in Yi-Fen Chou’s public biography about actually being Chinese. In fact, by referencing Adam and Eve, Poseidon, the Roman Coliseum, and Jesus, I’d argue that the poem is inherently obsessed with European culture. When I first read it, I’d briefly wondered about the life story of a Chinese American poet who would be compelled to write a poem with such overt and affectionate European classical and Christian imagery, and I marveled at how interesting many of us are in our cross-cultural lives, and then I tossed the poem on the “maybe” pile that eventually became a “yes” pile. Do you see what happened? I did exactly what that pseudonym-user feared other editors had done to him in the past: I paid more initial attention to his poem because of my perception and misperception of the poet’s identity. Bluntly stated, I was more amenable to the poem because I thought the author was Chinese American. Essentially, Hudson felt that “political correctness” had allowed editors to dismiss his work, and that—despite the overwhelming evidence to the contrary—his white maleness kept him from being published. Okay, one item of that evidence to the contrary: Hudson had two poems published under his own name in the March 2015 issue of Poetry, easily the most prominent and well-respected journal of poetry in the United States. His poems have appeared in Columbia, Georgia Review, Gulf Coast, Iowa Review, New Orleans Review, New Letters, Northwest Review, Painted Bride Quarterly (Issue 64 and Print Annual I), Washington Square, and other journals. He won the River Styx 2009 International Poetry Contest, the Madison Review’s 2009 Phyllis Smart Young Prize, both the 2010 and 2013 New Ohio Review Prize for Poetry, and the 2011 Old Red Kimono Paris Lake contest. One of his poems was recently nominated for a Pushcart Prize by Greensboro Review. As far as I can tell, all those poems were published under Hudson’s real name, not as Yi-Fen Chou. For a guy claiming that poor white guys can’t get any luck in the “politically correct” lit-journal world, Hudson sure seems to get around. But I digress. The controversy has gone international, with stories on it appearing in The Independent, The Guardian, The Washington Post, The Atlantic, The Rumpus, and even a blog entitled Angry Asian Man. (You get one guess on the blogger’s feelings on Hudson.) As mentioned earlier, Alexie responded directly to the kerfuffle, at considerable length. To my knowledge, Hudson has not. To invoke Alexie’s phrasing, do you see what happened? A white guy practiced an insidious form of racism, adopting a racial identity not his own to get published. But it’s the nonwhite editor who’s having to apologize for it and explain things. And that, folks, is white privilege in action. Let’s be clear: Hudson is practicing a familiar form of aggrieved white entitlement—“They’re not publishing me! It must be because I’m white, not because my poem isn’t great, or that it doesn’t fit this particular journal’s mission, or because there are other, better poems in the mix for that particular issue.” It’s an old rusty saw, and the blade is further dulled by the fact that, as noted, Hudson’s portfolio under his own name is pretty robust. 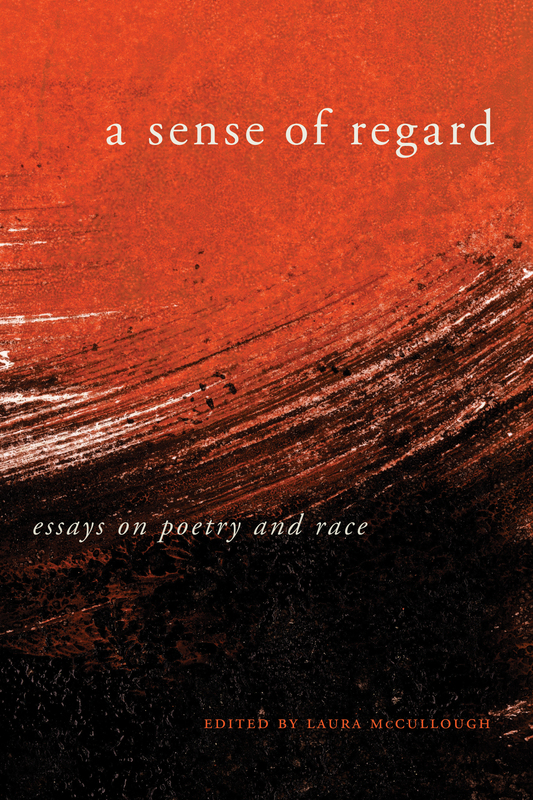 In our book, A Sense of Regard: Essays on Poetry and Race, editor Laura McCullough does a better job of exploring these issues than Hudson’s limp provocation. Poets and professors from a variety of racial, ethnic, and social backgrounds come together in this volume to think through—and argue about—race, poetry, representation, identity, form, and everything else that l’Affaire Hudson/Chou has brought up. But no one in the volume is pretending to be who they’re not, or courting favor by donning yellowface, blackface, or any other face other than their own. The volume is a multiplicity of voices—some calm and smooth, others raging, even more sensuous and daring. In 1989, in my MFA program, I met the African American poet Tim Seibles on the basketball court in a student game. I’m a Sansei , a third-generation Japanese American, and at the time, Tim and I were the only students of color in the program. We became friends and began engaging in discussions concerning race and poetics. One night we were well into one such discussion at a local pub when a white fellow student came up and asked what we’d been talking about. When we told him, his response was “But aren’t we all just people?” In other words, race for him wasn’t a subject that required further discussion, nor did he really want to hear what Tim and I might have to say on the subject. The truth, of course, is that this attitude—smug, elitist, and aggrieved over having to share common ground—still runs rampant in discourse about American poetry. 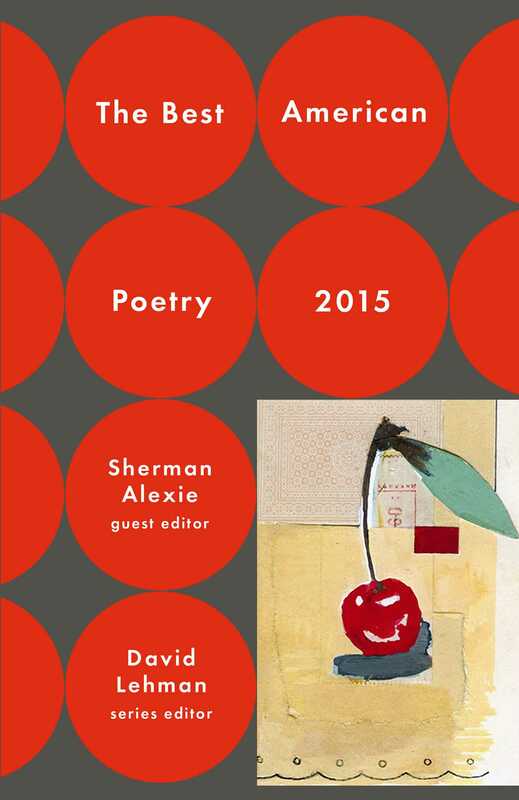 This is part of why even The Best American Poetry 2015 features more whites than nonwhites. (Alexie did a better job in achieving gender parity; roughly 60% of the volume’s contributors are women, which is a welcome shift.) And, again, it was edited by a prominent nonwhite writer looking to diversify its offerings. In trying to move white guys from the center of the discourse, Alexie accidentally made it so that, even though there are 75 poems in the book from a variety of authors, all we’re talking about is the white guy. Once again, whiteness is the pivot around which the enterprise turns, a fact to which Hudson is either oblivious or disingenuous. For a refreshing alternative, one that places nonwhites in conversation with whites, one in which whiteness is not deemed “normal” and everything else as “other,” A Sense of Regard: Essays on Poetry and Race is a good place to start, and to revisit.